In match 13 of VIVO Indian Premier League 2019 (IPL 2019), Kings XI Punjab (KXIP) will host Delhi Capitals (DC) at the PCA IS Bindra Stadium in Mohali on Monday. The clash will be interesting as both DC and KXIP won their previous IPL 2019 matches against KKR and MI and are high on confidence. K L Rahul's 71 runs off 57 balls proved instrumental for Punjab's victory and marked the return of his form. Chris Gayle has found his rhythm and his teammate Mayank Agarwal has been attacking almost every other ball. Ashwin has been shuffling his bowling department and it looks likely that he would again bring a change or two in playing 11. For Delhi, things have started to fall in places after their second match defeat against MS Dhoni's Chennai Super Kings. 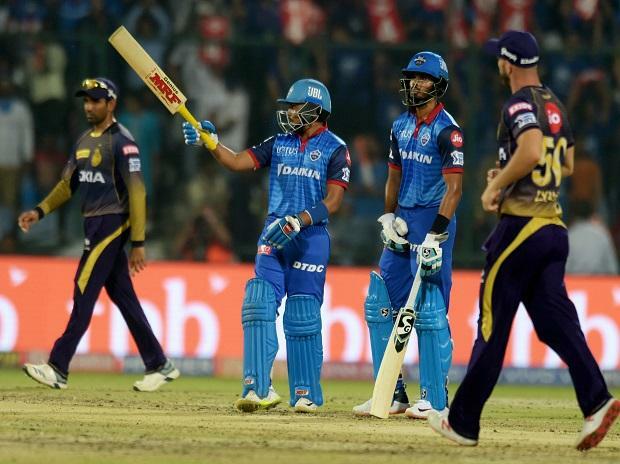 Shreyas Iyer-led DC is high on confidence after they triumphed in the super over thriller against Kolkata Knight Riders on Saturday night. Punjab may again eye home ground advantage but Delhi will be a different challenge. Prithvi Shaw, Shreyas Iyer, Rishabh Pant are in supreme form and Shikhar Dhawan has not found the edge yet but when he takes the charge, there's no looking back. The bowling looks challenging and whatever changed they asre making, has been paying off. Delhi made changes in the bowling department considering the pitch in Feroz Shah Kotla and are likely to shuffle more as the pitch is different in Mohali. Lamichhane is likely to play and Rabada may be they key pacer in the playing 11 but Chris Morris may have to be rested to make place for Ishant Sharma. Harshal Patel may also have to sit in the dug out as Trent Boult or Keemo Paul may be included. Amit Mishra is likely to be in the playing 11 as he would be useful in the Mohali pitch. Ashwin's Punjab has won two matches out of three and their last triumph against KKR at home ground must be a booster for the team. Murugan Ashwin was also included in the playing 11 and he is likely to remain there against Delhi. Ashwin made changes to his playing 11 and got it equation right, David Miller produced top-notch innings from his bat but bowling area is where he is likely to make some changes. KXIP vs DC match live streaming will be available live on Star Sports 1 HD, Star Sports 1 in English Commentary and Star Gold in Hindi Commentary. One can also live stream the KXIP vs DC 2019 match on Hotstar app and website.